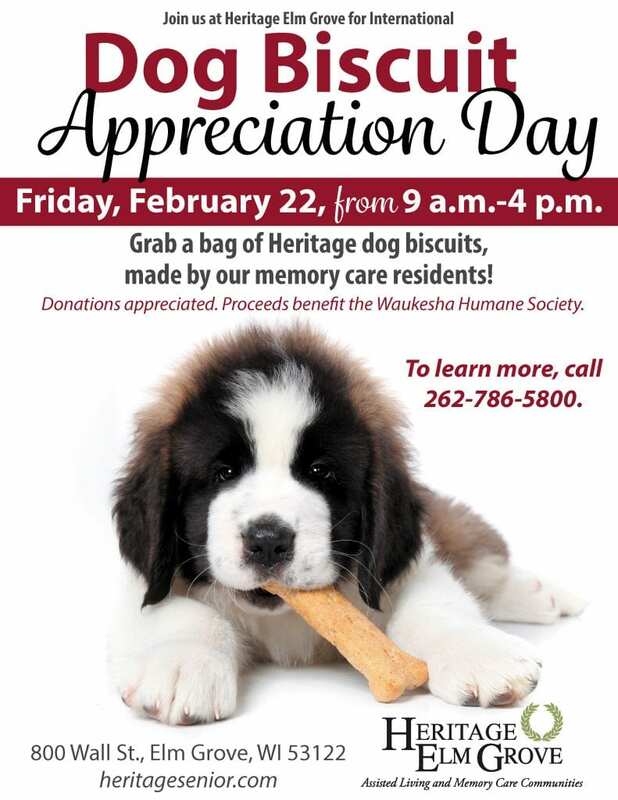 Grab a bag of Heritage dog biscuits, made by our memory care residents. Donations appreciated. Proceeds benefit the Waukesha Humane Society. © 2019 Heritage Senior Living, All rights reserved.